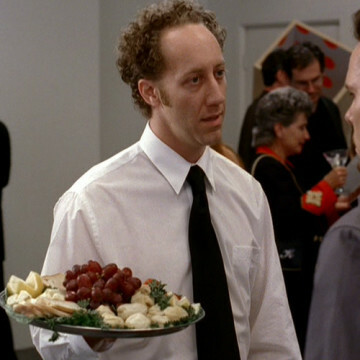 Joey Slotnick makes one appearance during the series’ sixth episode, Busey and the Beach. Joey plays the part of Gus, an old friend of Johnny’s forced to take a job as a waiter to supplement the income of his less-than-lucrative acting career. Johnny runs into Gus during Gary Busey’s art exhibit midway through the episode.